Britain and other countries are treating the oceans “like a sewer” as the amount of plastic in the world’s seas is expected to treble by 2025, MPs warn. The Government was accused of an “out of sight, out of mind” attitude to the seas and was urged to instead take the lead on plastic, pollution and ocean protection. Plastic litter, fertilisers and heavy metals, is pouring into the oceans. It is said that Britain can do a lot more to stop plastic ending up in the ocean. 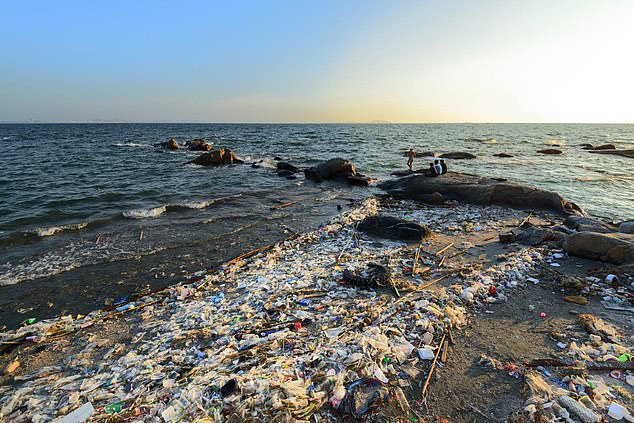 Around 80 per cent of waste went in the sea worldwide comes from the land. The UK needs to stop exporting waste to countries with poor recycling infrastructure—with the risk it ends up in the sea. It must also improve recycling in the UK to stop rubbish ending up in the sea from rivers in this country. Britain also needs to reduce chemical pollution from land based sources such as fertiliser from farms. A “Paris Agreement” for the seas—a worldwide action to clean up the Oceans—similar to the world to reduce global warming—is important. 1. What was the British government’s attitude towards the ocean pollution problem? A It didn’t care about the problem. B It spent much money on the problem. C It strengthened the punishment of pollution. D It took an active part in the ocean protection. 2. Where does most of the waste in the sea come from according to the passage? 3. Why shouldn’t the UK export waste to countries with poor recycling infrastructure? A Those countries might not deal with the waste well. B The UK was able to make money from the rubbish. C The rivers in other countries might become clean. D The UK already had the best recycling infrastructure. 4. Which of the following is not a threat to the ocean? A Chemical pollution from land. B Protecting the world’s coral reefs, fish and other wildlife. D Overfishing and over exploitating marine resources.